OVAs are an industry standard, and many appliances are distributed as such. Unfortunately Proxmox does not yet support OVA importing in an easy, user friendly way. After downloading the OVA you will need to get it on to your server. 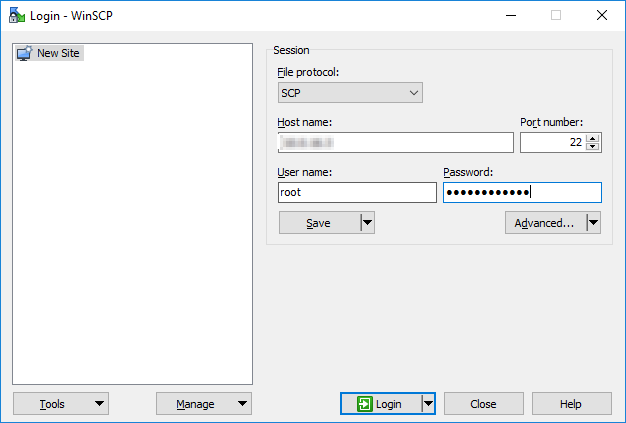 My preferred way is by using WinSCP, if you are using Linux or OSX, you can use command line scp to do the transfer. 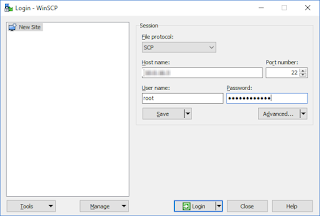 Start up WinSCP and select "SCP" as the file protocol. 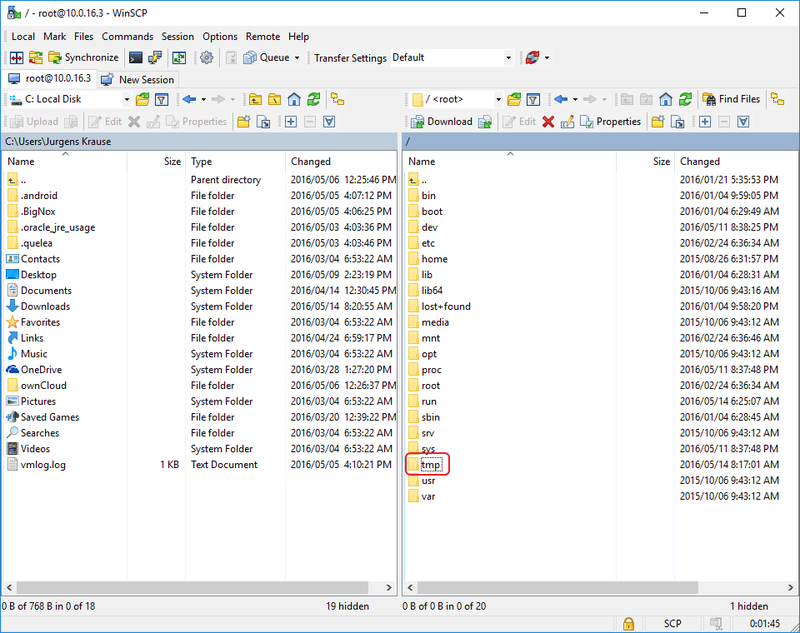 Enter the Host name, User name and Password for your Proxmox server. At the security key warning, click "Yes"
Depending on your network and the file size, this step may take a while. Once the file has been uploaded, connect to the Proxmox server using Putty or your favourite ssh client. This should output a couple of files from the OVA container, it should include an OVF file, which is the VM Defenition file, and a VMDK file, which is the actual hard disk image. Again, this may take a while. cat RADIUSdesk-2016-4-0.ovf | grep -e "Memory RAMSize" -e "CPU count" -e "Netw" -e "Disk"
Using the settings from the above command, set up a new VM using the Proxmox web interface, you can make a tiny hard drive, since we will overwrite it. You can now start the new VM with the imported disk image. 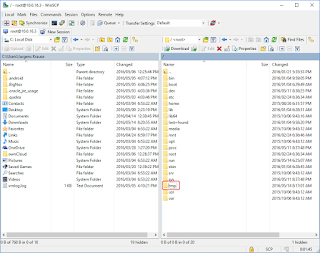 Lastly, remove all the files we created in temp by using "rm filename" for each file. Do you mind if i use this content for a proxmox / openflixr manual? Feel free, I would appreciate a reference, but not required. Hello, I have a question about multiple disk OVAs. I have an appliance that I am trying to import but when I launch it and it's doing it's initial config it's unable to see the second disk. I can't seem to find much information on how to resolve this. I've been reading through the Admin guide and even there they indicate the same directory for virtual machines, but in my case the directory remains empty. We are still testing this service. Could it be because of lvm being enabled? I tried this with RADIUSdesk-64-2017-0-4.ova. More info would be extracted from ovf. num of network interfaces, type mac address to keep the original IP address.